Hola Lexicans! Aaaah it's getting closer and closer to Christmas - I'm so excited! And, for all my Jewish readers out there, Happy Hanukkah, I hope you are having a great time so far. Whilst I'm in a Christmassy mood, I thought I'd put together a fun winter/Christmas playlist! - Here Comes Santa Claus: I love it!!! So upbeat and fun, with such a nice rhythm, Santa Claus comes tonighttttttttt. Perfect for dancing around in your kitchen (basically what my household do). 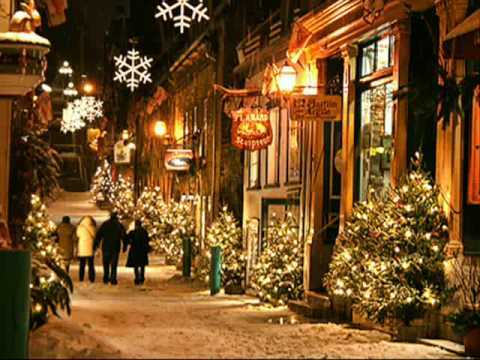 - We Need A Little Christmas: This has got to be one of my favourite Christmas songs, I cannot listen to it without jiggling, dancing and singing along, it's so jolly and fun, and again has one of the best rhythms ever. - Last Christmas: A firm favourite in my family, and you can't help but sing along, with some famous popstar moves. - Jingle Bell Rock: My sister and I are choreographing a dance to this, because it has the perfect beat and makes everyone want to join in!!! - Rockin' Around The Christmas: Fun, upbeat, jolly and full of Christmas spirit.... what more can I say??? - Baby, It's Cold Outside: I was just listening to this and it's one of the first songs I think of one people say 'your favourite Christmas songs', and when I'm in the kitchen dancing with my sister and brother, it's just magical!! - Deck The Rooftop: Maybe the funnest?? songs on this playlist, and certainly one to put you in a Christmassy mood, my brother will always put this on and even though he's 6, I swear he's choreographed an amazing award-worthy dance to this song (okay, so maybe I was exagarrating a tiny little bit, *rough intimidating voice*, what you going to do about it (jokes, jokes))! - The Most Wonderful Day of the Year: 'a pack full of toys means a sack full of joys, for millions of boys, and for millions of girls'. The final song on my list, and it's all because of Santa Claus, it's so jolly and I mean who doesn't like this song??? Don't even think about saying 'me'. No, just no. So that's my Christmas playlist!!! What are your favourite Christmas songs? That's a pretty good playlist!